When we heard SmartThings announced an updated version of their hub, sensors, and outlet, we immediately took a trip to Best Buy and purchased the updated version. Now that we’ve tested both, we can confidently compare SmartThings v2 vs v3 to find what you should buy or upgrade. In our hands-on video test, you’ll see how all of the hardware compares side-by-side. Take a look, and then keep reading for even more comparison of SmartThings v2 and v3. 1.7.1 Should I upgrade my hub? 1.7.2 Can I just have two hubs? 1.7.3 What’s the SmartThings Connect App? 1.7.4 Do the SmartThings sensors use ZigBee or Z-Wave? 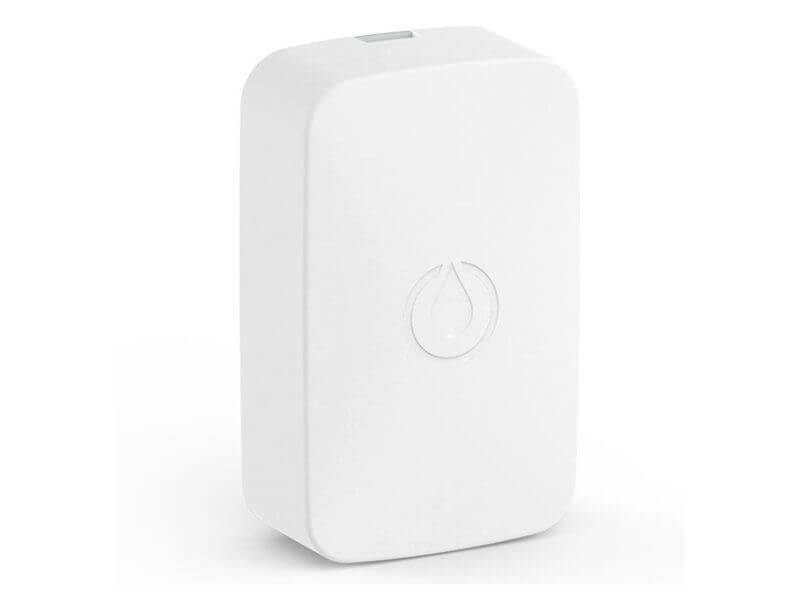 SmartThings v3 is a complete overhaul of its hub, outlet, and multipurpose, motion, and water leak sensors. They also added a new button that you can program to run different automations around your home. 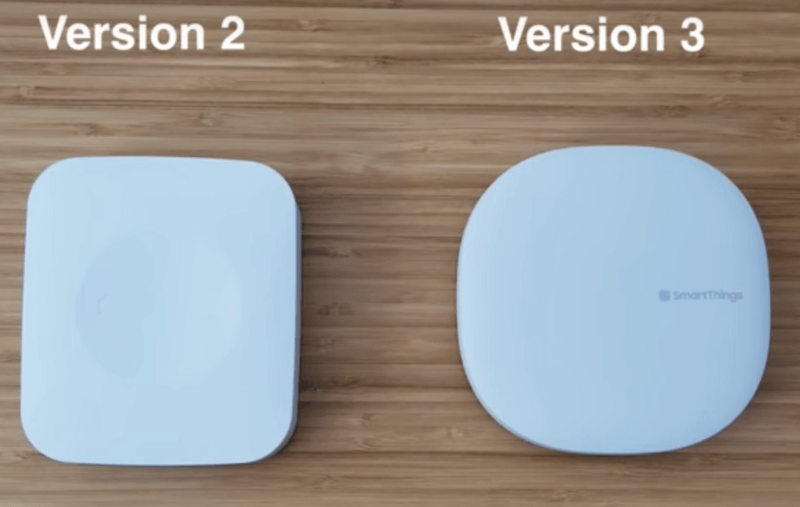 We’ll first go into detail comparing how the hardware in SmartThings v2 vs v3 has changed. Make sure you also scroll down and read the section about compatibility for some important notes about whether or not you should upgrade and how the new and old devices work together. The SmartThings hub is what connects all of your sensors and devices to your WiFi and each other. Both hubs are compatible with Z-Wave and ZigBee devices. They both plug into power, but only one has battery backup: SmartThings v2 hub. The new version 3 hub does not have battery backup like its previous version does. WiFi connection. Comparing SmartThings v2 vs v3, the biggest upgrade in the v3 hub is an option to work with WiFi. This lets it control your home without plugging into your router. We tested this for our SmartThings v3 review and it worked just as quickly as the v2 hub that was plugged into ethernet. Note that the version 3 hub still has an ethernet port if you want the option of plugging it into your router. Design. 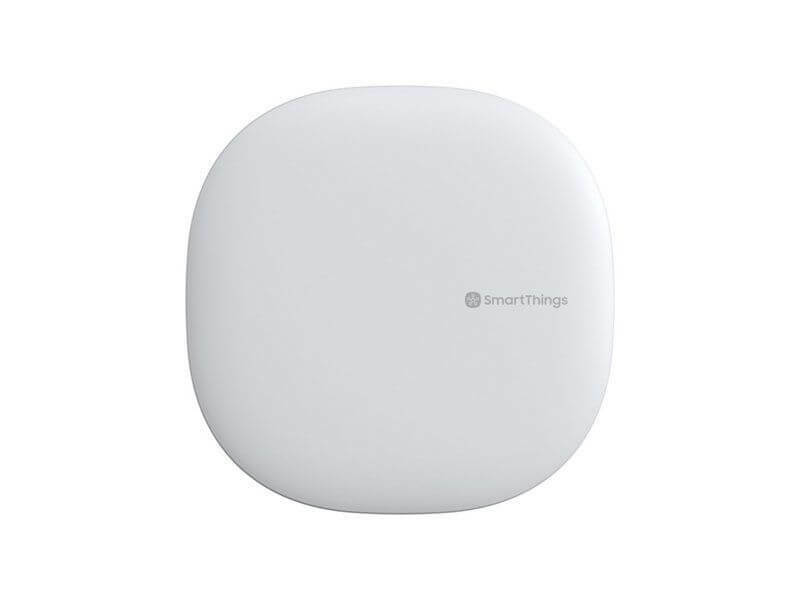 SmartThings v3 hub looks sleeker, with a round design instead of square. While its dimensions are actually just a tiny bit smaller than the v2 hub, it looks significantly better. Add in the perk that you can place it anywhere in your home instead of next to your router, and you’ve got a hub that looks and works smarter than its predecessor. Slightly stronger range. Version 2 range: 50-100 ft. Version 3 range: 50-130 ft.
Cheaper price. SmartThings v3 hub starts at $70, instead of the v2 price of $100 (now dropped to $90 since the release of the v3 hub). We are big fans of upgrading smart home tech while bringing down the price. The SmartThings multipurpose sensors are designed for tracking when windows, doors, drawers, or anything else is opened or closed (see our list of 39 SmartThings ideas to brainstorm other uses). 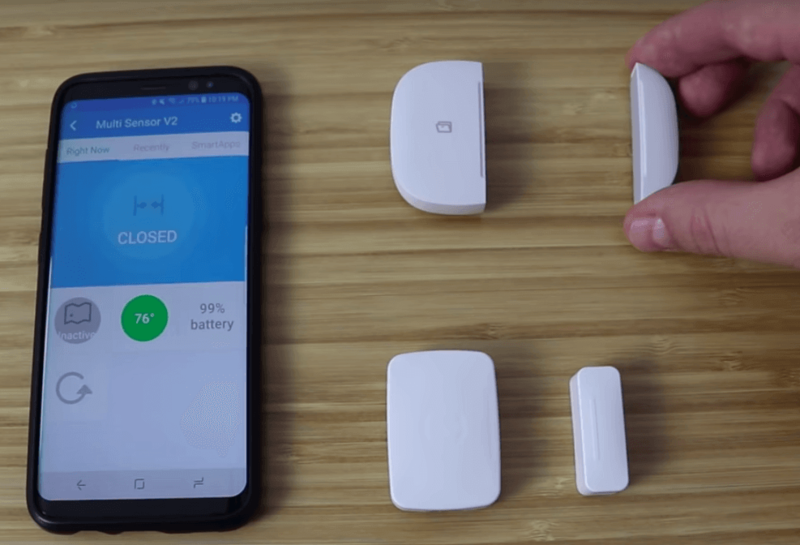 Comparing SmartThings v2 and v3, both multipurpose sensors also have vibration, accelerometer, and temperature sensors, giving them plenty of other functionality for automating your home. Design. Just like the new hub, the v3 sensors are more rounded and sleek. When the sensors come together, they form a complete circle since they are the same height. The v2 multipurpose sensor was much more boxy looking. Stronger magnet. The stronger magnet means that the two pieces of the multipurpose sensor can be further apart and still be considered closed within the app. This adds convenience since many doors have a deep frame and the magnets may be installed far apart while still accurately tracking if the doors are open or closed. The v2 sensors wouldn’t be able to accurately tell if that type of door is open or closed, but the new v3 sensors will work with more doors and windows. 3M peel-and-stick installation. SmartThings removed the mounting plate that was on the back of the v2 multipurpose sensor, and replaced it with a 3M sticker for installation. Cheaper price. Originally $40, the new multipurpose sensors are now $20, making it way more affordable to cover your home in these versatile sensors. This is the biggest and most necessary price slash for sensors when looking at SmartThings v2 vs v3. Even if you have version 2 multipurpose sensors, you can easily add two version 3 sensors for the price of one version 2 sensor. SmartThings motion sensors are used to track motion and trigger different actions when motion is seen. You can connect them to your lights, security cameras, and other devices to automate your home based on when people are coming or going. The v2 and v3 motion sensors now have the same price: $24.99. The v2 sensors used to be around $34, but the price recently dropped with the version 3 release. The v3 sensor does have a few additional features to know about. Design. Comparing SmartThings v2 and v3 motion sensors, you’ll quickly see that the version 3 sensor looks more useful and less bulky. Version 2 sensor was a large square with the sensor in the upper left, but the new version has the sensor centered and is more rounded. Magnetic mount. The version 3 motion sensor has a more functional, adjustable mount for pointing the sensor exactly where you need to monitor. The mount is a magnetic ball and can be moved in any direction or even removed, so it’s completely customizable. Improved motion detection. In our side-by-side test, the v3 motion sensor could see movement or walking across the room much more quickly than the v2 sensors, which required you to move close to the sensor to detect movement. While the range is listed the same in the specs, we found that the new sensor definitely tracked motion more accurately. 3M peel-and-stick installation. Easily stick this sensor on the wall to monitor your home for motion. Finding out about a water leak can save you money in damages to your home. The SmartThings water leak sensor is perfect for next to your faucet or other leaky areas—ours is right next to our ancient hot water heater that might leak at any moment. Additional sensor on top. The new v3 water leak sensor has sensors on top and bottom to detect a water leak on either side. In comparison, the version 2 sensor only sensed water underneath. This is big improvement since sometimes water drips or comes from above before touching the ground where the bottom sensors are. Size. The new water leak sensor is slightly smaller. The version 2 sensor was a large flat rectangle, but the new version is more oval-shaped. It is designed with higher edges to pool the water on top of the sensor and increase its accuracy. Even if a drop doesn’t land exactly on the sensor, it should roll towards it due to the sensor’s design. Slightly cheaper price. The water leak sensor dropped from $25 for version 2, to $20 for version 3. The version 2 sensor used to be priced around $34 and its price has dropped with the newly released hardware. 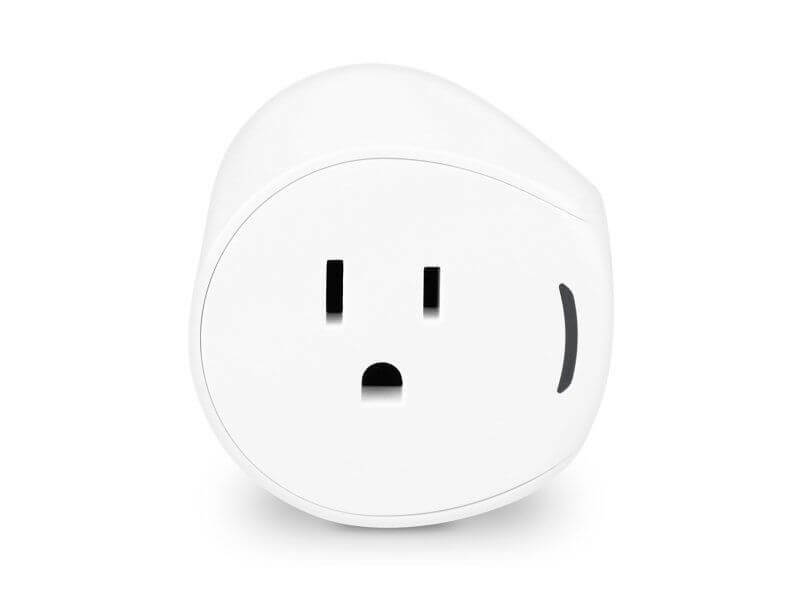 SmartThings outlets plug into the wall to make anything smart. Plug in basic appliances like a fan, lamp, or coffeemaker and it will have advanced smart home controls. You can schedule or automate when the outlet switches the device on or off. 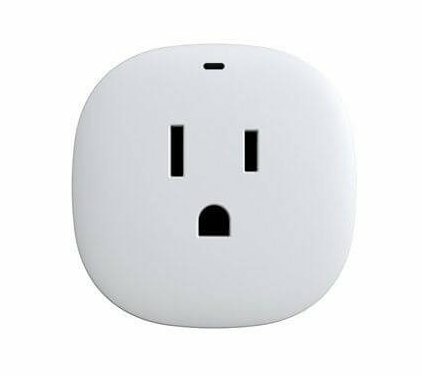 SmartThings v2 vs v3 outlets are priced the same, but the new outlet does have a few upgrades worth mentioning. Improved range. While the original outlet lists its range at 50-150 feet, the v3 outlet is 130 feet. Size. 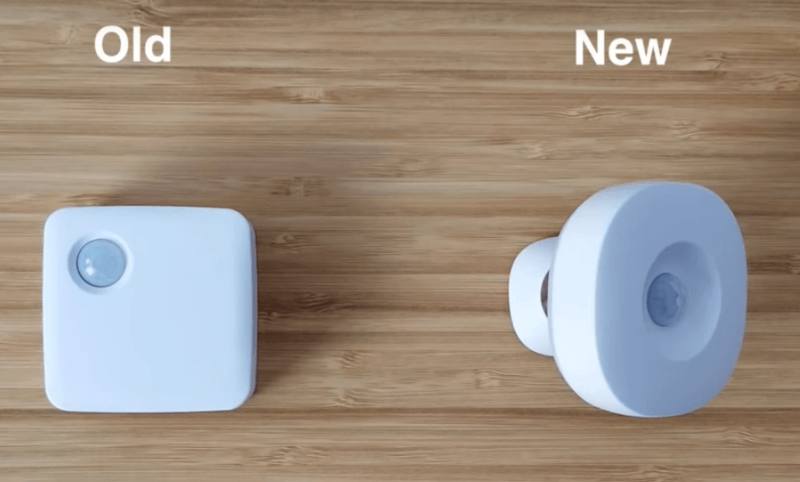 SmartThings new v3 outlet is slightly smaller and lighter than the original outlet. The original outlet awkwardly has the status light on the side, making it look bulky. The new outlet has a status light on the top: the design looks cleaner and just makes more sense. The smaller size is a big perk because it takes up less space on the outlet and blends into your walls better. 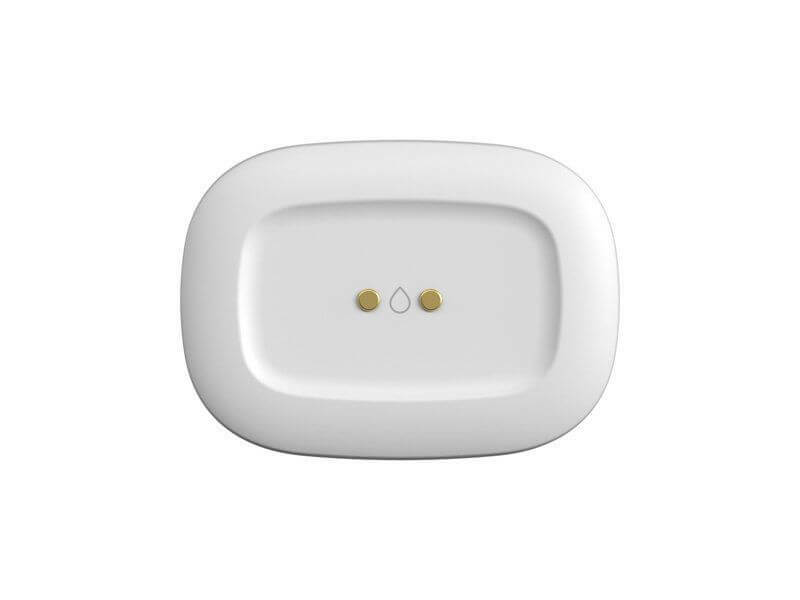 This is a new sensor original to the SmartThings v3 release. It’s a small, simple button that you can program to control different devices around your home. You can program three different controls for the button: single press, double press, and press and hold. Use the app to program what happens when you do each control: for a basic example, if you press once, it can turn on your lights; if you press twice, it can turn them off; if you hold the button down, it can secure your Arlo cameras. It’s the same concept and functionality as the Flic smart button, if you’re familiar with that. The button also has the added and surprising benefit of a temperature sensor. Pack in all of this functionality for a $15 button and you can see why we bought one right away. Now that we’ve gone over all of the upgrades, there are a few important factors to note about compatibility. First, both the v2 and v3 sensors are backwards and forwards compatible with either hub. So if you want to keep your v2 hub and sensors and just add in a few v3 sensors, that’s an option. Should I upgrade my hub? If you already have version 2 hub, you will probably want to think twice before upgrading. Transferring to the version 3 hub requires you to remove your devices, smart apps, and routines from the version 2 hub and add it all again individually to the version 3 hub. We did this for the sake of our SmartThings v2 vs v3 review and it was a huge pain. Unless you really want the WiFi capability, there’s no real reason to upgrade to the v3 hub. Keep your v2 hub and upgrade the sensors if you want. This is where it can get a little complicated. You cannot have SmartThings devices connected to two hubs at one time. If you want to upgrade to the v3 hub, then you’ll likely want to completely replace your current hub. Even in large homes, two SmartThings hubs aren’t necessary or convenient since devices on each hub cannot communicate with one another. Since each ZigBee and Z-Wave device acts like a mesh network in extending the signal throughout your home, large homes don’t need a second hub. The signal from one hub and its devices should already be strong enough throughout your home. What’s the SmartThings Connect App? The version 3 hub uses the new SmartThings Connect app. This is a completely different app compared to the original SmartThings app. It has some improved features: for example, you can view all of your devices from multiple hubs in one list instead of having to toggle between hubs like the current app. This could be nice if you have a second hub at your guest home. Unfortunately, the SmartThings Connect app comes with a learning curve of re-learning a new app. There are also some growing pains with a few missing features. Custom smart apps weren’t loading for us in the new app, and the old app doesn’t have options for setting up the new hub or programming the button. Eventually, all features will be migrated to SmartThings Connect app, and that will become the primary app for controlling either hub. You’ll be able to move everything to the new app in a (hopefully) seamless way, but for now it’s still a work in progress. Long story short: if you end up using both apps, you will probably run into a few frustrations for the time being. Do the SmartThings sensors use ZigBee or Z-Wave? SmartThings branded sensors like the ones we reviewed in this article use Zigbee. If you want to commit to only using Z-Wave sensors, you should look at your options for third-party sensors on Amazon. There are quite a few options and several have strong reviews. Now that we’ve spent our money on SmartThings twice and compared them extensively, it’s easy to see how SmartThings v2 and v3 compare. While you may not want to go through the headaches of upgrading your version 2 hub to the latest version 3, new sensors would work well for even a seasoned smart home set up. SmartThings version 3 hardware is more affordable and higher quality, so they should improve your smart home environment whether you are a newbie or an expert. We were really impressed with all of the new tech during research for our SmartThings v3 review. For more reading, make sure you check out our comparison of Wink vs SmartThings or our article with ideas about connecting SmartThings with Ecobee. If you have any questions about SmartThings v2 vs v3, feel free to comment below! when you get a new v3 hub and if you want to migrate all your devices, smart apps and everything from v2 hub, you can do so without removing and re-adding. There is a hub migration tool which SmartThings introduced, reach out to support if you need more info! It works pretty seamlessly. Hi Srinath thanks for the comment. We looked for the migration tool and everywhere we looked it said that SmartThings hadn’t released it yet. Do you have a link to the migration tool? Thanks. Is the new SmartThings Connect app for the v3 hub compatible with a Windows phone? I didn’t see the windows OS listed (but it is on the v2 hub on Amazon). I looked and I couldn’t find out if the SmartThings Connect app will work on a Windows Phone. Maybe someone else will have a better answer who has a Windows phone. The Windows mobile app store online doesn’t have a search feature, what the heck. One additional difference between the v2 and v3 hubs is that the v2 will currently only support 32 Zigbee devices, whereas the v3 supports 64. As you start to build out your smart house, you can quickly run into the 32 device limit. Tony K thanks for the comment. That’s a great point. 32 might not seem like a lot but those sensors can add up fast.